A Boobook Owl bobs its head to get a better look at the photographer. 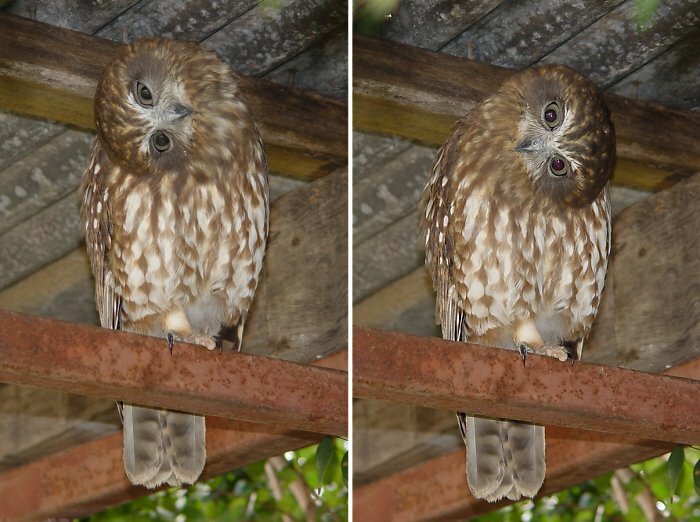 Many owl species will bob and weave their head, as if curious about something - this is in fact to further improve their three-dimensional concept of what they are viewing. Image © Deane Lewis.